Acupuncture uses hair-thin, flexible needles, inserted into specific points on the body to activate the body’s own healing powers. Several thousand years ago, East Asian practitioners discovered that the body forms disharmonies as a result of the various physical and mental stresses of life. Oriental medical theory explains these disharmonies as an imbalance of opposing forces called yin and yang. This imbalance disrupts the movement of the body’s vital energy (qi) along the meridian pathways, which are channels through which the body’s energy is thought to flow. Acupuncture restores the smooth flow of qi. 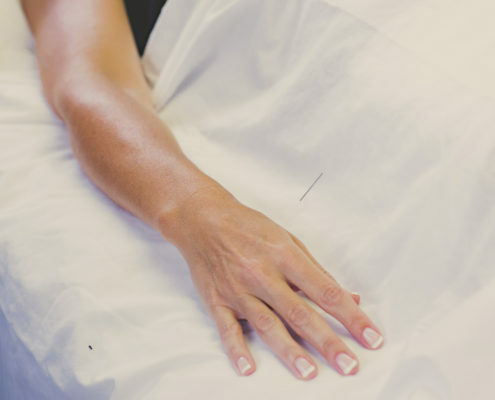 By inserting and manipulating needles at specific points on the body, I am able to return the body to its natural balance and promote the body’s ability to heal itself. 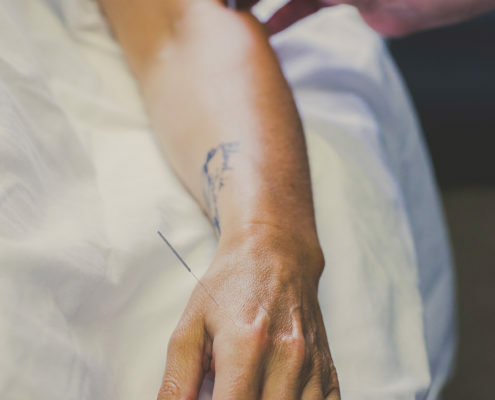 Many first-time patients are concerned that acupuncture needles will feel like hypodermic injections at the doctor’s office. They won’t. Acupuncture uses hair-thin, flexible needles that you will hardly feel when I insert them. When I gently stimulate the needles they may produce a unique sensation that Oriental medicine calls de qi. Patients often describe de qi as a heavy, achy pressure, or spreading, traveling feeling. You may also feel an “electrical” sensation moving down the meridian pathways, though this is less common. Most patients find these acupuncture sensations deeply satisfying and leave the treatment feeling relaxed both mentally and physically. Pain, allergies, digestive issues, headaches, and other gynecological issues to name a few.